Place the raspberries, water and cordial in a food processor and process until combined. Pour into a 20cm x 30cm metal tin and freeze for 3–4 hours or until set. Cut the sorbet into squares and, in batches, place in a food processor and process until smooth. 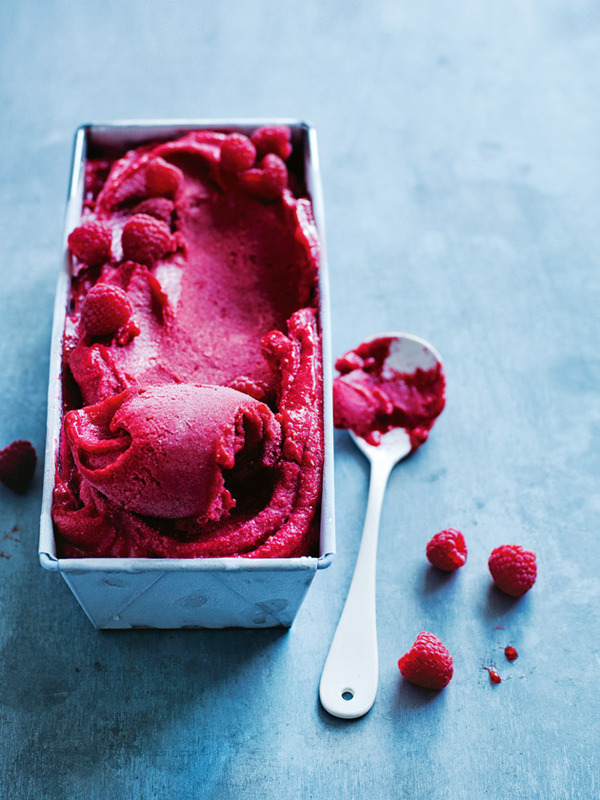 Return the sorbet to the freezer for 1 hour or until ready to serve. Makes 1 litre. Tip: Find elderflower cordial in supermarkets and greengrocers.